Its been a great autumn so far. Now, still in october, I go swimming almost every day. 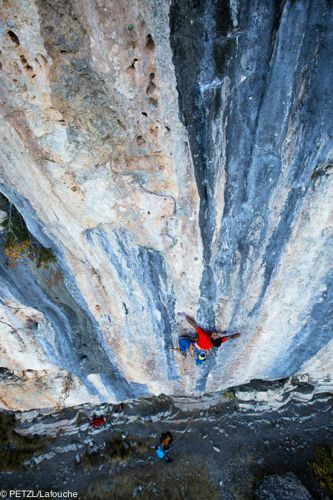 And its probably the best season in general for climbing almost everywhere in Europe. After climbing and training loads me and a friend Johan left for France a few weeks ago. I was hoping to be in tip-top shape and try some hard routes. When we finally arrived it turned out I wasn’t in tip-tpo shape at all…but I still tried hard! Anyway, we arrived in a summerlike evening in Marseille and got picked up by old time friend Francois ”Ze Big” Legrand. 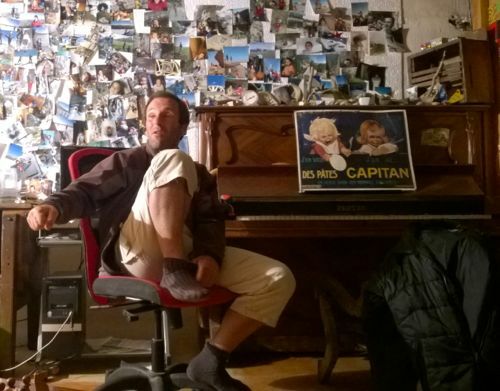 We stayed one night at his house and warmed up in his mythical garage next morning before heading out to Verdon. 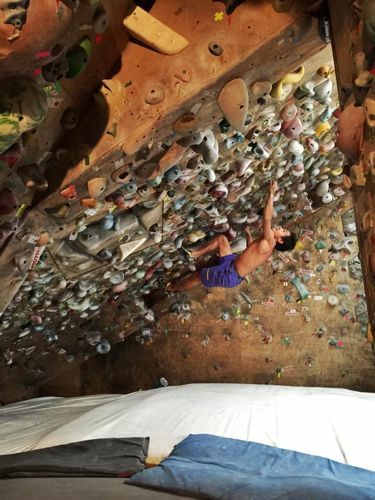 This wall is where Francois trained like crazy back in the day to become the best comp climber at that time. 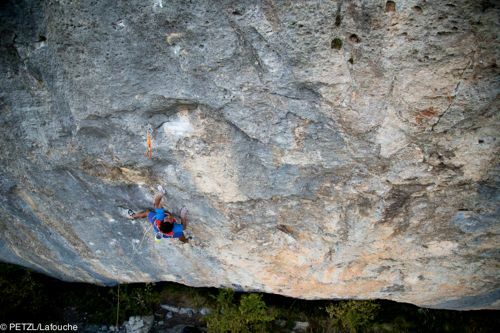 When I lived in Aix we shared some long hours on this same wall, doing boulders and circuits. Most of the holds are still in the same place so you can still test yourself on the good old garage test-pieces from a by gone era. 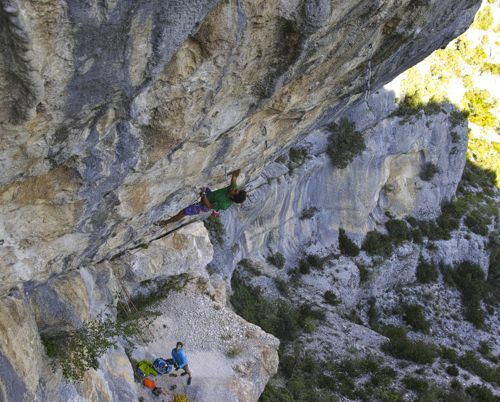 We stayed a few day climbing in Verdon with my friends Alan and Kate and borrowed Kates car. 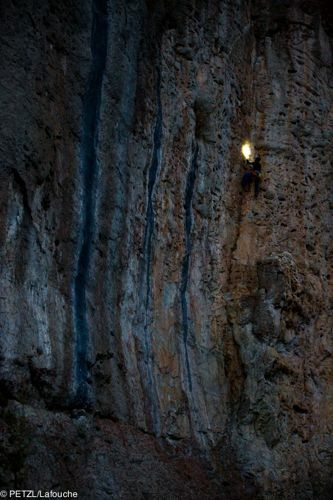 We only did some sport climbing but I left with dreams of some long routes -this is a place where I will always return. 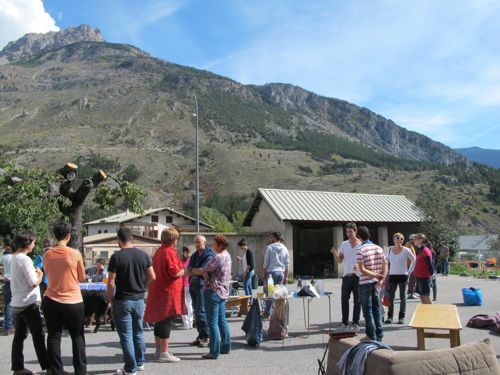 And of course we also stopped by the chief of Verdon, Bruno ”Graou” Clement. 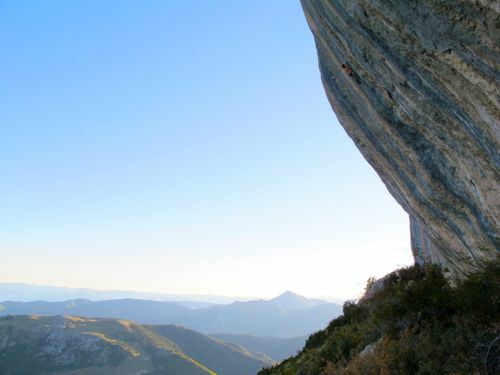 Next stop was Céüse where I wanted to try some of the hard routes there. We met up with Jon Cardwell, Arnaud Petit and Laurent Lafouche. I wasn’t at all in the shape to do the harder routes but at least got a chance to try. And of course climbed a bunch of other stuff -every route in Céüse is a classic! Climbing some rare tufas at Grance Face. 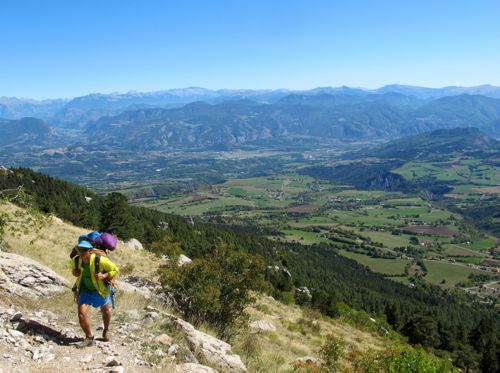 After Céüse we continued to the Briancon area to meet some friends and climb at some sectors I had not yet visited. 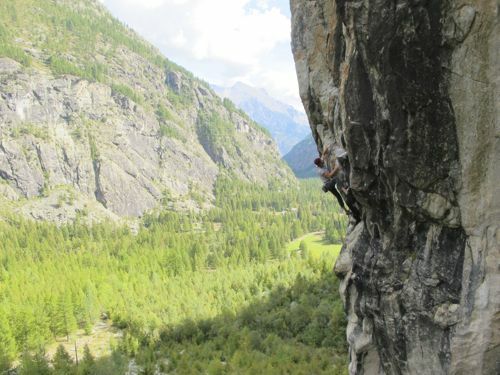 This is such an incredible place with som much climbing in different styles and rocktypes. 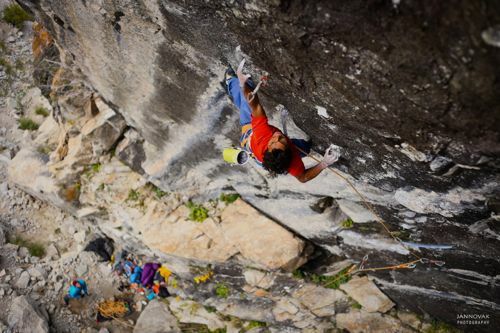 I had been in area before and this place must have one of the nicest climbing communities anywhere? Starting the day with a birthday bbq in l’Argentiere la Bessée. 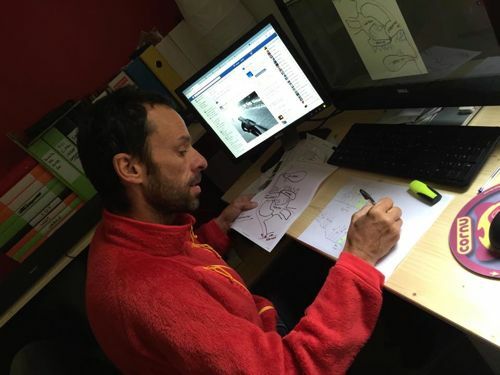 Getting a topo for ”Perchoir” made by old friend and master climber Francois ”Babar” Lombard. 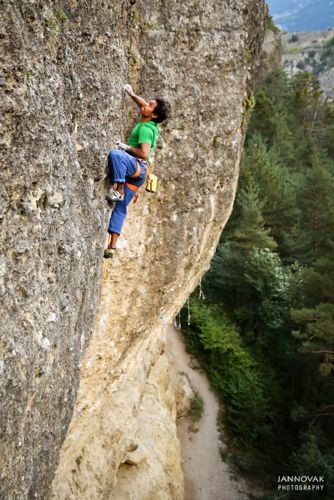 Local climber on ”20 years after” in Perchoir. Johan warming up in Face Bouc/Ailefroide. 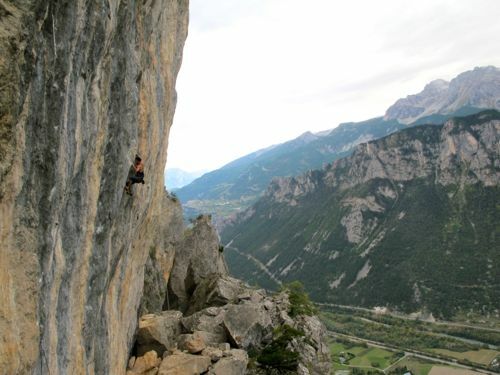 Climbing one of the major lines in the same sector: ”En un come back douteaux”. After doing one last route around 8 am on our 8th day on we left for the airport. In one way this is my favourite type of trip: visiting new areas, climbing loads, visiting old and new friends. 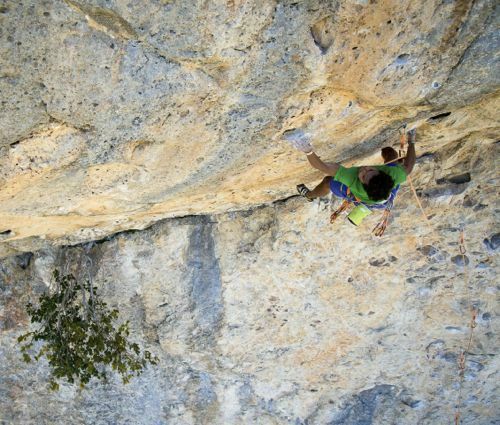 I also tried ”le Cadre” in Céüse and ”San ku kai” in Entraygues but these routes will have to wait until next time and a better shape.